Concerning the jump, we found that a leg of starch is responsible for the observed motion. 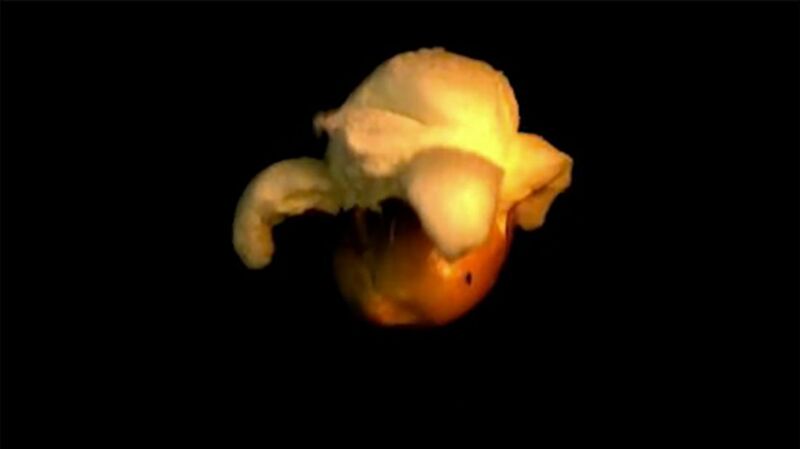 We note that the popcorn dynamic is twofold: the popping relies on a fracture as for explosive plants, while the jump relies on a leg as for animals. Concerning the ‘pop’ sound, we synchronized acoustic and video recordings: the scenario of an excitation by the water vapour release is consistent with our observations. You can read more about the process from the Times.